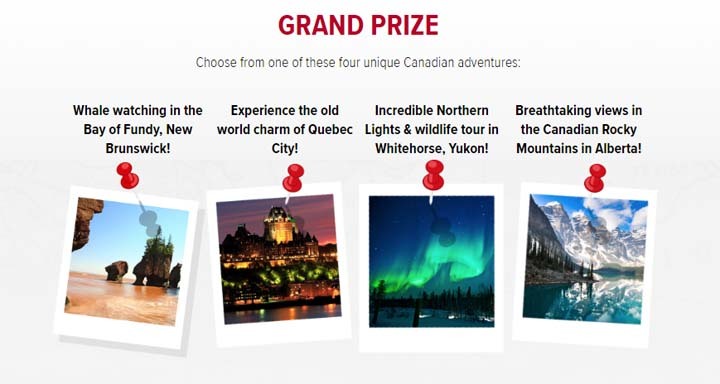 The CBC’s #StandForCanada Contest is open to all legal residents of Canada who are over the age of majority in their province or territory of residence. 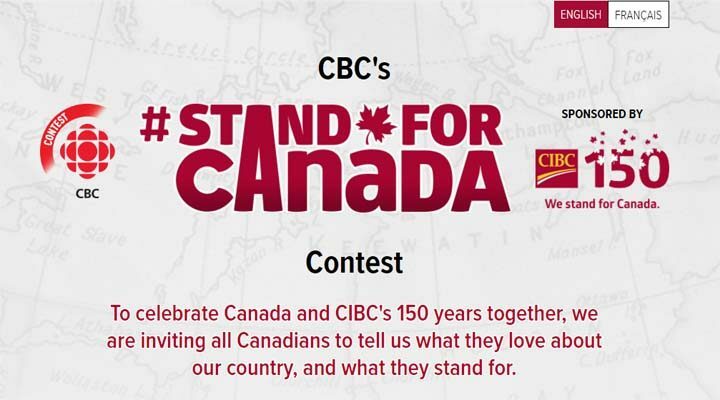 The CBC’s #StandForCanada Contest ends on July 9 at 11.59pm EDT. No purchase required. To enter, visit cbc.ca/2017 (cbc.ca/standforcanada) and submit a picture or video and story to tell us how YOU stand for Canada, along with your name and the requested contact information. You will then be given the option to share your picture or video and story with the hashtag #StandForCanada on social media, Facebook or Twitter. Limit of one entry per person per day. APPROXIMATE TOTAL VALUE FOR OPTION #1: $6,398. APPROXIMATE TOTAL VALUE FOR OPTION #2: $6,760. APPROXIMATE TOTAL VALUE FOR OPTION #3: $9,340. APPROXIMATE TOTAL VALUE FOR OPTION #4: $9,064.